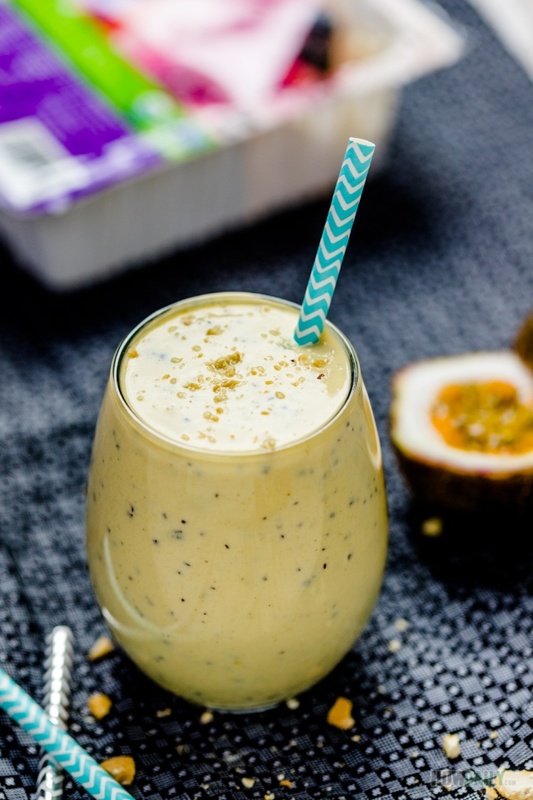 If it’s getting tough to grab a dairy-free smoothie, try this mango passion recipe. It’s so quick and easy to do, super delicious, protein packed and totally compatible with your diet need. The key protein replacement in this drink is tofu, the soft silken type. Tofu is high in protein and contains many essential nutrients: amino acid, iron, calcium, magnesium, manganese…Since its flavor is bland, the whole drink will taste like whatever fruits/juice you throw to it. 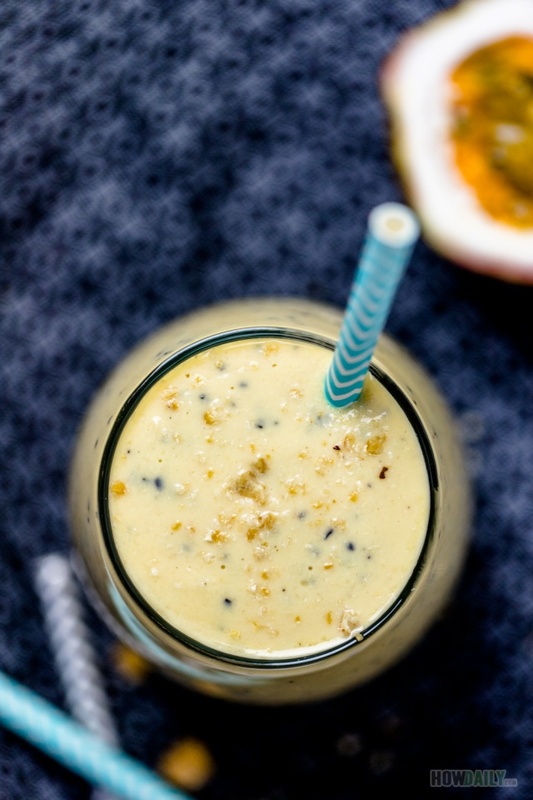 Mango served as both flavor and thickener ingredient. Pick raw mango and your drink will be more sour and light green in color. On the other hand, ripen mango will eliminate the need for extra sugar/syrup and add the temptation gold hue to the drink. Passion fruits are famous for their scent. You can extract and skip the seeds for smoother drink. However, if you like your drink have more elements in its, simply grind the seeds along with everything. 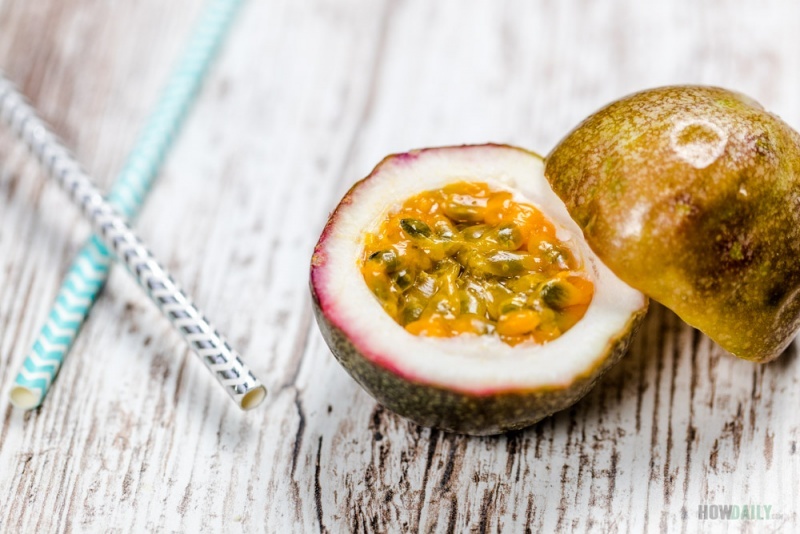 (optional) For thicker consistency and bolder flavor, try making passion fruit nectar by simmering whole halves passion fruits (skin, rind, pulp, seeds and all). Then blend in a blender before strain out the seeds. This will be your nectar. If you don’t like the seeds (they’re edible, just a bit tart flavor), work them through a strainer with a spoon bottom. Pressing down to extract juice and gelatinous pulp. 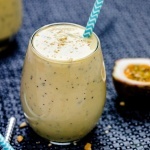 Add passion fruit juice or nectar to the blender with tofu, mango and nuts of choice. Pulse a few times to mix, then add crushed ice to blend till good.